DHY Trading Corporation is one of the recommended Concrete Testing Machine Manufacturers In Mumbai, India. We have manufactured these machines in compliance with the industry standards to match specific customer demands. You can avail them in different standards for determining the compression and flexural strength of concrete. These machines are demanded because they ease the work on the construction sites. 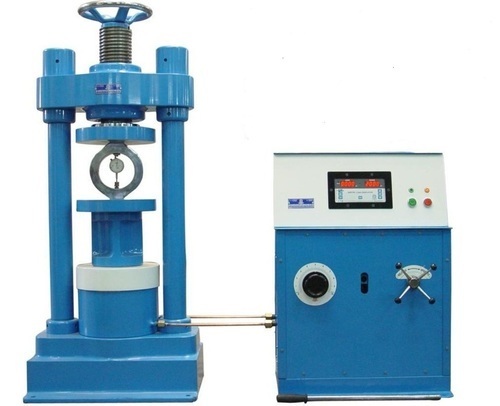 Our offered Concrete Testing Machinery has all the features and offers functions to meet diverse customer requirements. Different types of machines used for different purposes, thus one needs to invest in it accordingly that save their time and fulfil their application requirement. Our manufacturing unit pays attention to its designing and quality testing, so, customers will get value for their investment in our machines. Being one of the most reckoned Concrete Testing Machines Suppliers and Exporters, we offer our complete range at the competitive market price. If you have any specific demand, dial our number and get support, you’ve been looking for.